Update on the JP. Everything's going great, no problems to report really. I painted the intakes aluminium, followed by the lip and back of the splitter plate with some gloss red Hu19. Limping towards the finish, a two week trip may not leave enough time to finish. I have more progress to report. Mosquito painted and camouflage applied. Markings in progress, more to follow. The same deformation is also on the other wing I guess it was a bit too much glue when fixing wing halves and then glueing in wingtip. I had no idea that it's there until primed. It is annoying but nothing that couldn't be fixed. Just some more work. 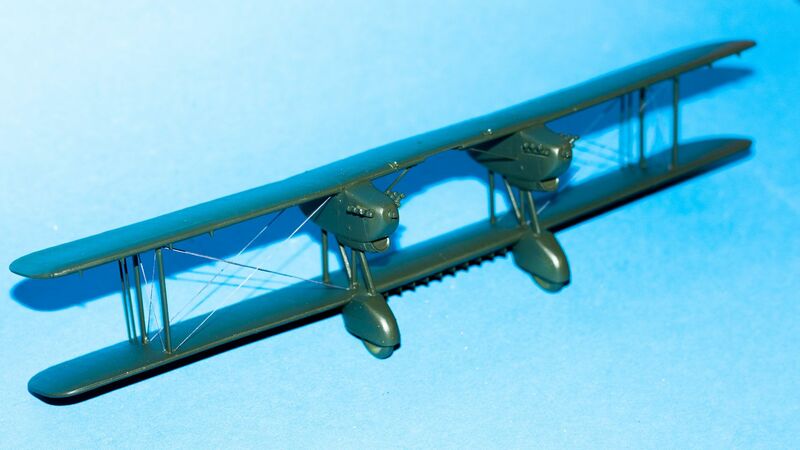 It seems that Tamiya moulded very thin top of the wing in this area, bottom half is fine. This is my entry to the campaign, Classic Airframes 1/48 Westland Whirlwind. I think that the choice of this camouflage scheme was a good idea. Paints used: Xtreme Metal Matte Aluminium, Gunze: Off White and 1:1 mixture Tire Black and Flat Black. Damian awesome result! Interesting camo job is the top camo still dark earth and dark green? Will you be using the kit decals ar using masks to paint the markings? So I'm done with my two Spits. Had lots of fun. And here are the finished pieces: A Spit Ia and a Spit 22, both 1/72 Airfix. @ Chris. Yes, top will be standard Dark Green and Dark Earth. I think I'll use kit's decals, they're quite thin. Only thing I will trim off code letters as there's way too much of clear film. First, tons of masking tape. Shapes transferred to Tamiya's tape from photocopied and cut-out camouflage pattern. About 1.5 hours of fun. There are some touch ups required like the lead edge of the left wing and "something went wrong" spot ahead of the canopy. Nothing serious though. But tomorrow. Tonight I will finish my day with a nice glass of Glenfiddich (originally 18 yrs old, but now I think about 23). Here are the finished photos of my Mosquito. Thank you for an interesting and fun campaign. Many great builds, enjoyed following. Very nice work Stefan and FirstSergeant. Only two weeks left. Who needs an extension? Well, me... My progress was sidetracked for 2 weeks while I was in China. China???? LOL was your luggage full of plastic on your return? Hope your trip was eventfull and great to see you back with the plastic. Sadly, even if China is the origin of most of our kits nowadays, finding them in country is difficult. I've spent more effort muleing over kits for a fellow modeler than the other way around. unfortunately I could't finish the campaign because we will move in 2 weeks. Few parts are still missing - radio mast and exhausts. Excellent work here in the home stretch! 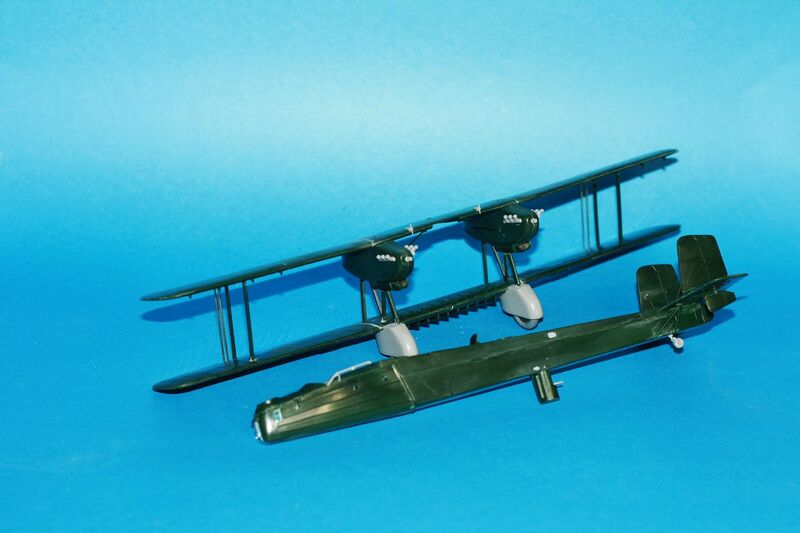 I don't normally build in 1/72, but for a few of my favorite aircraft (of which the Hurri is definitely one), I plan to build several in the various scales as sort of a display piece. So, here we are. Let's see if I can pull this off. 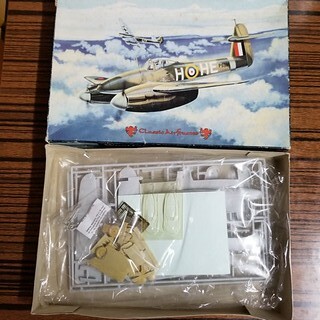 It's supposed to be an excellent kit, and the 48th scale one certainly was, so there's hope! Meanwhile, I repeat a question I asked a while ago. As there's only about a week to go, are there calls for an extension? I certainly do I'm in the midst of a decaling frenzy LOL. Rigging of the wings complete. Unfortunately while painting the wings with gloss the fuselage fell off my photo bench!!!! Fixing broken parts and then rigging to tie on to the wings on final assemble! Apart from the re-work I am enjoying this build which is all that really counts. Richard, the Heyford is coming along nicely. I'm sure you'll be able to make any repairs. Great to see it being built, not one you see very often. And a reminder that I have one in the stash somewhere. If we're still thinking of extending the campaign, I wouldn't say no to one. Real life has thrown a few spanners in the works the last couple of weeks so haven't been able to do much on the JP. This afternoon I'm masking the canopy ready for some paint. One month extension to 1 May has been granted. Thanks Michael that's a big help! I got her ready for some paint but the can of Tamiya white primer was empty. Luckily I have a fantastic model shop on my way home from work, so I can get a couple of cans tomorrow. Thanks Michael, I might just make it now. Interior paint on the intakes, glue on one exhaust, some more filler and then it's ready for primer.